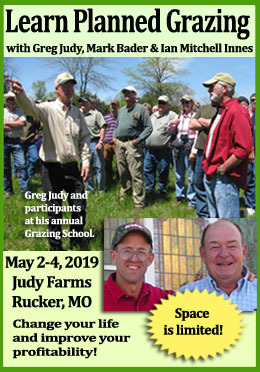 Here at the Dickinson Research and Extension Center, the old question kept coming back: “Would the extra calves really pencil out if the center stocked 1,100-pound cows instead of 1,400-pound cows?” And then more questions: “Would those small cows actually carry the load? Could they be competitive with mainstream beef production?” Our experience and data say “Yes” to all these questions. More and more, taking 300 pounds off the size of a mature cow makes sense. Since the mid-1990s, the Dickinson Research Extension Center has been gathering data to contribute to the small cow/big cow discussion. We started breeding larger heifers with Aberdeen/Lowline bulls, and moving towards smaller cattle for calving ease. We assumed, based on stocking rates, that up to 30 percent more calves, all slightly smaller, were coming out of the “Range” pastures. (Keep in mind, the 30 percent will vary, depending on actual cow weights, but for simplicity, I am going to say 30 percent.) The “Beef” calves weighed almost 640 pounds when adjusted to 205 days of age. The “Range” calves were at 535 pounds when adjusted to the same age. So, ponder this cow math: 100 “Beef” calves should weigh in at 64,000 pounds (100 calves times 640), while the same size pasture with similar grazing opportunities, if stocked with our smaller “Range” cows and calves, would bring in 130 calves for a total of 69,550 pounds (130 calves times 535). The difference: 5,550 extra marketable pounds in favor of the “Range” herd. 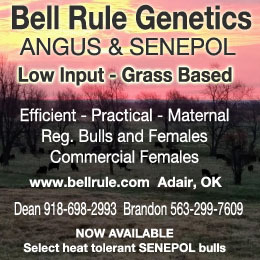 Now, these figures are based on 100 “Beef” calves and then adjusted to account for the number of “Range” calves, but regardless of what herd size is picked, the 30 percent more cow-calf pairs allotted to pastures when mature cow size drops 300 pounds is always there. Cow math using smaller cows increased the number of cow-calf pairs to achieve the same stocking rate. The answer, when we looked at what was happening with our smaller cows, surprises me. Dry conditions forced the center to reduce cow numbers, but 29 of the older F1 Aberdeen-influenced cows are still around, grazing the range pastures. In preparation for a workshop on cow efficiency, we identified 10 of those cows that had produced a steer calf in 2015 and the steer was harvested with carcass data. T his group of 10 cows had averaged 1,120 pounds across several weaning years and weaned an average of 511 pounds of actual calf weight. As a percent of body weight, the 10 cows weaned 45.6 percent of their body weight. And looking at the last harvested set of steers, these same cows produced harvested beef on the rail that averaged 891 pounds. And what was the question again? Would those small cows actually carry the load? Could they be competitive with mainstream beef production? Without a question, the benefits of cows that average 1,100 pounds of mature weight are real. It’s time to get serious. Perhaps it might make more sense to study heredity of cattle that have the ability a produce a higher calf weining wt and/or carcass weight relative to the cow’s weight. A weining weight to cow weight ratio? Is it that the smaller cow is more efficient or we have not been breeding larger cows for a better production ratio. In a controlled feeding stall where the cow is not subject to need to travel to graze, larger animals can be shown to be more metabolically efficient compared to smaller animals. The problem with big cattle production ratio comes when said animal has to move around on the landscape to forage for its own forage. A 1500-lb cow has to find and ingest almost 50% more forage in a day than does a 1000-lb cow. Real world limitations on forage availability and grazing locomotion generally means a higher percentage of daily forage consumption goes to maintenance and a lower % to productive functions. 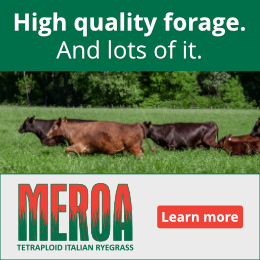 A smaller cow has greater probability of consuming enough forage for both maintenance and production on a daily basis. If we select for greater productive output from a cow to create a larger calf, the cow will have to consume even more forage to fuel that production. Making bigger cows even more productive will only increase the relative economic efficiency of smaller cows on any fixed-size land unit. Regardless, the more pounds of calf (beef) generated from a given amount of feed the more efficient the cow. I personally have seen 1000 lb cows wein 400 lb calves or a 40% ratio. a 1200 lb cow that weins a 700 lb calf or a 58% ratio. yes the cow will most likely require 20% more feed but produces 75% more lbs of beef. I have seen both of these extremes. Smaller is not always better when the genetics are not there. What I am saying seed stock producers should include lbs of calf to cow weight ratios in their epds. We can all point to individual cow-calf pairs where the weaning weight:dam weight (WW/DW) ratio are exceptionally high or shockingly low. I prefer to look at larger data sets over time. Based on 28 years of cow-calf records from the U of Missouri Forage Systems Research Center involving 200-300 cows each year, the WW/DW ratio for cows weighing 1600+ lbs was approximately 35% with mean WW of 560 lbs. The WW/DW for cows in the 1000-1099 lbs range was approximately 45% with mean WW of 481 lbs. The decline in WW/DW ratio was linear across the cow population when stratified into 100-lb weight increments. Below is a SPA summary done by Dr Allen Williams across 5 Southeastern states. This is based on hundreds of actual producer records. The overwhelming evidence is that larger cows are less efficient at converting consumed forage to weaned calf weight unless the calf or pair is being supplemented with feed not coming from the pasture. In Allen’s study, what were the ranges in cow weights and frame scores for each avg cow weight class? It is very possible in the 48-52″ frame to have cow weights range from high 800 to 1500 lbs with cows having inherent body condition…yet the herd avg is 1000-1200. Weight without a frame score, makes it hard to visualize the gut volume a cow. We can always select against the heavyweights by selling their calves as feeders….same as we can select against tall frame and thin gutless wonders. This was the average across several hundred herds in five states. The frame to weight comparison is probably across the full range of possibilities. In other words, probably about average. I’m curious what happens when you start factoring in slaughter and handling costs as this is usually a fixed cost per head. Even though the smaller animals are more efficient and productive, if you are looking at the numbers in terms of overall costs is the increased income from more productive animals enough to offset the higher handling and slaughter costs? I have always thought this was what drove the move towards larger animals in all livestock breeds. Jan, your question really revolves around the question of ownership through the production trail. Here are a few scenarios to consider. 1) Most calves in the US ares till produced on cow-calf operations meaning the calf is sold at weaning. Since lighter calves bring premium price in the market, cow-calf operators are way ahead financially by having smaller cows (per Dr. Ringwall’s study). At this point in market flow, it really doesn’t matter that it costs the same to process an 1100-lb steer compared to a 1400-lb steer. 2) An investor buys a ‘pen’ of cattle & sends them to a custom feeder. The investor plans to make his/her money on the buy-sell margin. As long as the contract is favorable, it doesn’t matter if the finished animal weighs 1100 lbs or 1400 lbs. The feeder plans to make his/her profit on the feed & yardage margin. The longer it takes to finish the animal, the more feed & yardage income for the feeder. He/she will prefer a larger finish weight. A ‘packer’ buys that pen of cattle on a contract with Kroger. The packer needs to keep costs low so this is the first point in the production chain where the cost of processing relative to live animal weight comes into consideration. 3) Next we have the branded product where the same entity (individual or business) owns the beef from cow-calf through growing & finishing through processing & distribution. This is the most rare scenario in the beef industry (full vertical integration). This is the scenario you asked about initially. The answer is very much an ‘It depends’. How efficient is the ranch’s cow-calf operation? Do they graze year-around? Are they low-cost / high-output producers? What is the feedlot or grass-finishing performance? What is the premium value of their product? All of those other production questions must be answered before we know if the cost of processing relative to finish weight is a significant factor towards their bottom line. Thanks so much for this in-depth response, Jim! Jim, your can answer your questions on “total dollarization” pretty easily by “dollarizing out” each carcass individually. I.e., when the carcass is on the rail, you perform a carcass grading exercise and then put a dollar value to the meat on a per pound basis. Then, you take the Live Weight and subtract the Hot Carcass Weight (HCW) to give you the yield %. And finally, you take the HCW and multiply it by the dollar value per pound. The higher yielding percentage animals will almost always dollarize out more. Hi Gene, I’m not sure what question you were trying to address in your comment. Please clarify. If we have two animals that are identical finish weight and one has a higher yield %, then yes, the higher yielding animal will most likely give a higher gross return. But if we have a heavier steer (1400 lbs) with a 38% boxed cutout compared to an 1100-lb steer with 42% boxed cutout, the lower % yield animal will probably have a higher gross return per head just due to weight advantage. None of this says anything about margin & that is what really matters. I read an interesting paper on roughage digestion once and it informed my thinking about one way that small cows attain an advantage. It claimed that rumen efficiency (meaning extraction of potentially available nutrients) increases with animal size up until a live weight of close to 1,500 lbs in wild ruminants and then it falls off pretty sharply as the animal gets bigger than that. The largest ruminants in the wild are bull bison, bull giraffes, and bull guar, which each have sexual selection pressure pushing them in a “counter-productive” direction because breeding opportunities are greater for larger males. Each of those examples can surpass 2,000 lbs (females almost never get that big though). But there are no ruminants that get anywhere near as big as rhinos and elephants which rely on hindgut fermentation. The paper chalked this discrepancy up to transit time of roughage. Coarse roughage will be fully extracted after approximately 72 hours in a gut. Rumens make the time frame a little shorter since particle size is smaller. Once a ruminant gets up to about a ton liveweight the average particle of food spends too long in the vat, it’s full extracted but still being carried around and churned with other fresh food. Hindguts don’t hit the same boundary until the animal is at least elephant size. So to bring this concept back to domestic stock, I think the domestic cow with a very blocky phenotype might very well be near the optimal size for maximum rumen efficiency when she weighs just over 1000 lbs at BCS 5. Since there is a lot less predator pressure on domestic stock I think it likely that the phenotype that best suits a ranch’s profitability is a bit different than the analogous wild game on the same land. And the rumen could easily be as big in a “1000 lb cow” as it is in a 1,300 – 1,400 lb bison. Interesting analysis Edmund. Also, take into consideration the concept of “feed the rumen, not the animal”. When you keep a healthy rumen, the rumen will be much more efficient (25-27%) in turning the consumed food into energy for the animal. I.e., the healthy animal can eat 25% less forage and stay as healthier than an animal with an unhealthy rumen. I don’t want to be contrary but a study done in Australia by the University of Melbourne concluded the opposite i.e. larger cows were more profitable but that benefit reduced as stocking rate increased. I can provide details of the study and the author if anyone is interested. It may be there are other factors at play which affect the conclusions but in any event I think anyone planning to modify their herd structure should analyse the situation carefully. Yes! I’d love to see this paper. I would like to see that paper as well. Most of the papers showing larger cows are more profitable are all based on single animal analyses. Put on a fixed land base analyses, I have never seen a study where larger cows were more profitable.